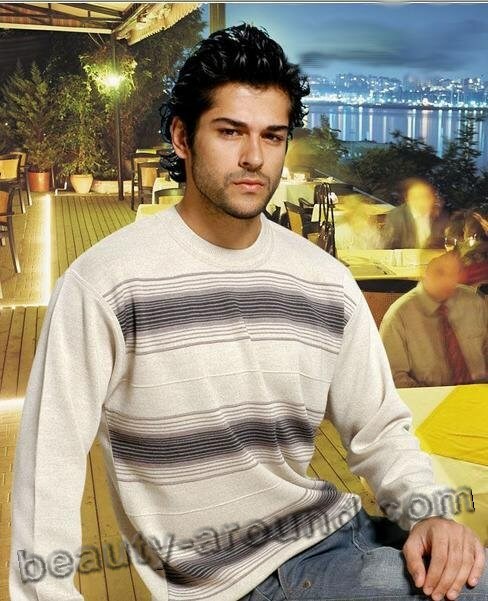 Burak Ozcivit was born on December 24, 1984 in Mersin, south-east Turkey. Interesting appearance, high height about 1,84 meters, beautiful body gave him a chance to start a model career in which he had a great success. 2003 was very successful for Burak. This stylish brunette took the second prize in the competition "Best Model of The World", won the competition of male models “Best Model of Turkey”, and also had his photographs taken for covers of modern magazines "Marie Claire" and "Gloria Magazine". However, young man always wanted to be an actor so he decided to get an education in arts. He graduated from Marmara University (Istanbul), faculty of Fine Arts and worked as a model at the same time. 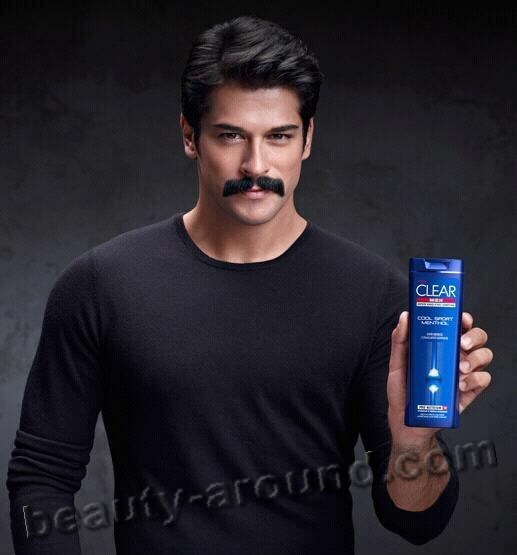 Meanwhile Burak Ozcivit was a pretty famous model in Turkey, cooperated with many European brands and was in demand as a model. But only in 2006 Turkish filmmakers drew their attention to that perspective young man and invited him to play a role in a film Minus 18/ Eksi 18. The role was small but in a year he was invited again to play a role in the thriller Infected/ Musallat, and a bit later in the TV series Husband under constraint/ Zoraki Koca. 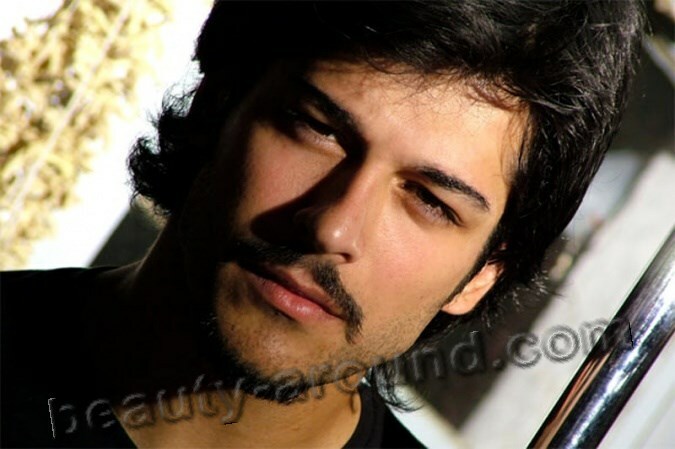 Burak Ozcivit played the main role of the only child Omer who grew up in a rich and respected family. His hero was a spoilt young man who got everything he wanted easily. His way of life made him very venturous and eventually he lost his father’s money. His parents were really disappointed in their son and decided to find a wife for him. They chose a daughter of the father’s business partner – a young, beautiful and modest girl Ayesha. During 2008-2009 the next TV series with Burak Ozcivit in the main role were released. TV series tell us the story about a music band in which a young girl-soloist came. One musician of this group fell in love with the girl and they wished to marry. But there were a huge amount of problems which lovers had to face with. In 2010 Burak was invited again to play the main role in TV series Betrayal/ İhanet, where he played the role of a policeman Emir, investigating a murder case in which, as it turned out later, was involved his girlfriend Hazel. In a year Burak Ozcivit played in TV series Little secrets of Istanbul/ Küçük Sırlar which tell us about the story of rich families and their children – the glided youth. It would seem that his acting career reached its top, but Burak still needed something to open up his talent fully. And in 2011 the actor had a lucky chance to play a role in one of the most famous TV series dedicated to the Ottoman Empire – A magnificent century. He played the role of a fearless and brave soldier, commander of the Ottoman army. 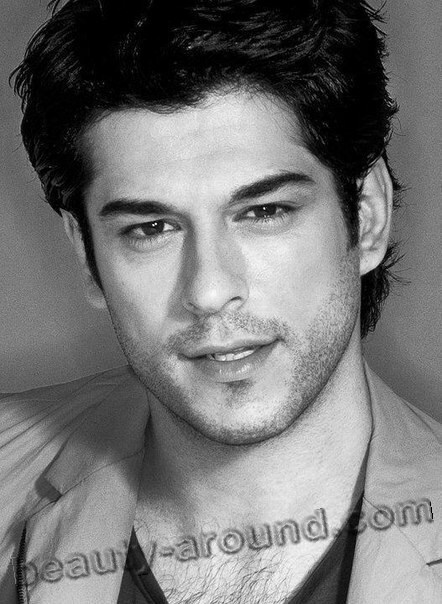 Burak played this role brilliantly and earned fame in many countries and among many nationalities, won millions of fans. 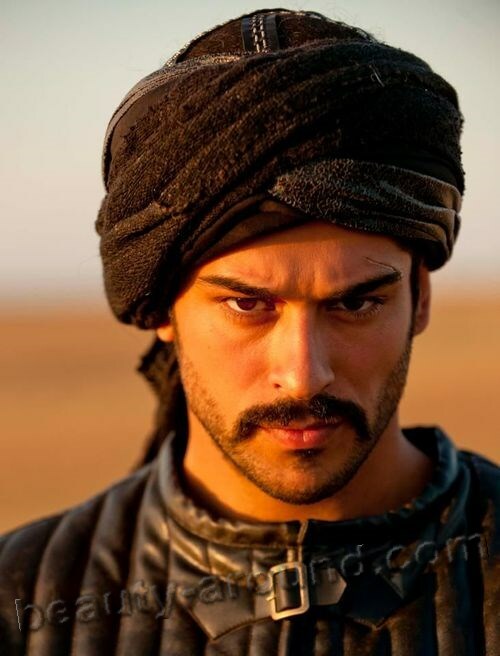 Fan-girls of “In a magnificent century” could not help admiring the glance of Burak’s eyes and his beautiful mustache. In 2013 Burak Ozchivit was invited to play the role of a handsome man Kamran in the third screen version of the famous novel written by Turkish writer Resat Nuri Guntekin Goldcrest /Çalıkuşu. A young and perspective actress Fahriye Evcen played the role of Faride. Burak likes to play football, fond of beautiful cars, knows English very well. In 2014 Burak Ozchivit opened his own restaurant «Balibey Döner» in Istanbul. In spite of the fact that Burak is really handsome, have a large army of fans and admires, he is still not married, although he is in a relationship with Turkish model Ceylan Çapa. But because of Burak’s busy schedule and jealousy of his girlfriend their relationship became very complicated. 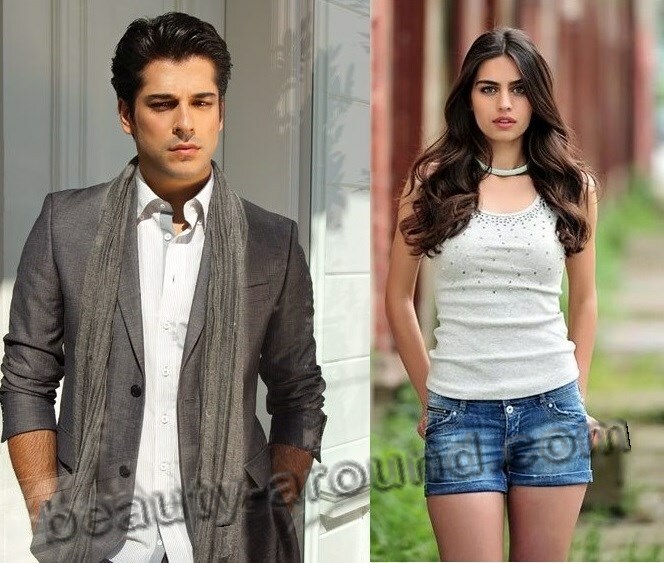 Recently Burak Ozcivit founded his own production company and invited Amine Gülse (Miss Turkey 2014) to play a role in his first film. So disappointed in ending of Love Bird and no explanation for daughter who appeared out of the blue with no explation as to why they did not want to go on the train with Kamran.IT DEFINITELY WAS NOT A SATISFYING CONCLUSION!!!! .You misread the ending as Kamran turns around and smiles, obviously Lovebird decides to get on the train. In the book they meet again and he marries her. A very sad ending on Lovebird, I wish there will be another season, otherwise I'll buy the book and read it. An excellent gifted actor, and of course very handsome!